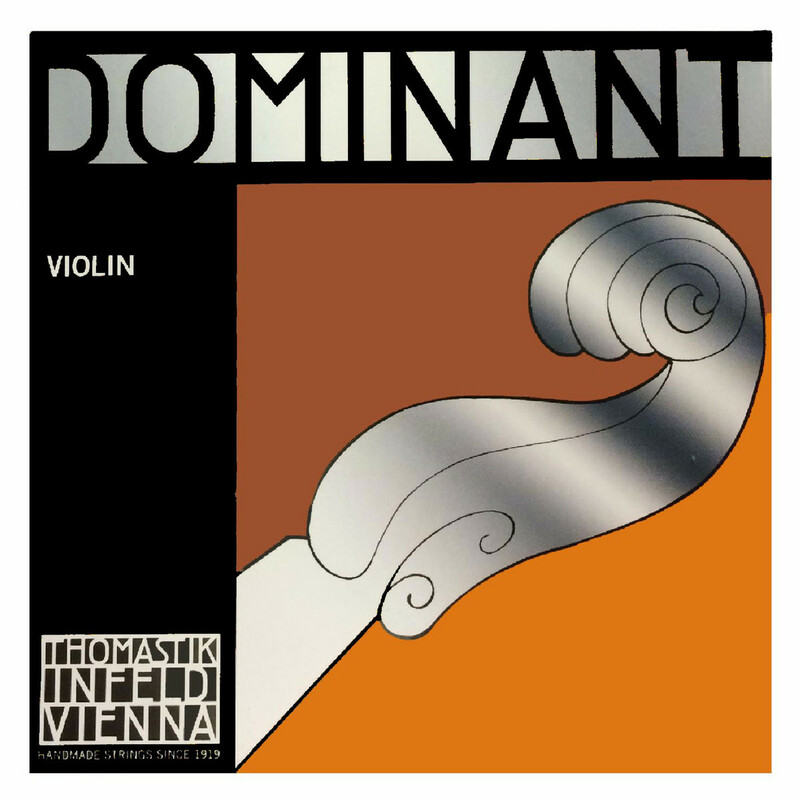 The Thomastik Dominant 135BS 4/4 Violin String Set has a versatile sound with multiple materials that provides a warm, clear tone. Thomastik's synthetic strings resistant to change from humidity which provides durability and reliability, as well as having the tone of real gut. The E string has a steel core for increased volume. This model of strings are a slightly stronger gauge tension than standard, meaning they produce more depth and sustain. For versatile strings with strong overtones and a mellow sound, the Thomastik Dominant 135BS 4/4 set is an ideal choice. Included in this set are the following strings; 129,131,132,133.